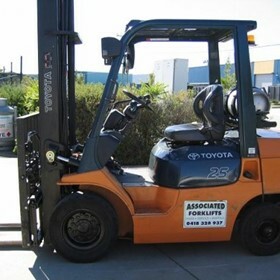 Associated Forklift Service specialises in supplying quality second-hand forklifts for both purchase and long- or short-term hire. We have budget units through to refurbished forklifts in a wide range of models: LPG, petrol, counterbalance electric, reach trucks, walkie stackers, stock pickers, powered pallet trucks and hand pallet trucks. 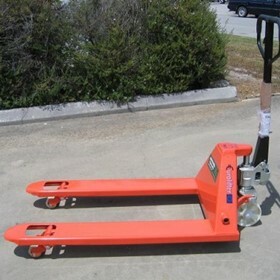 They range from 1.0 ton up to 10 ton capacity, and we can help with flexible finance options on our range of equipment. 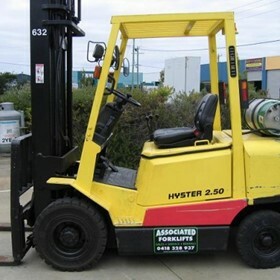 Associated Forklift Service also provides onsite servicing and repairs to all makes and models of materials handling equipment. From affordable and flexible preventative maintenance servicing to major overhauls, our extensively trained technicians have got it covered. We offer an onsite safety inspection with all our services and will supply you with a report of our findings for your peace of mind. We can also offer assistance in arranging for you to obtain your forklift license and have Safety Log books available for sale. 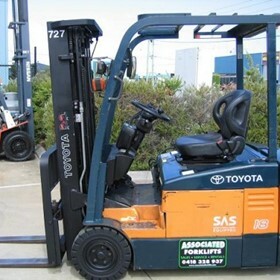 Associated Forklift Service has over 25 years experience in the forklift industry. 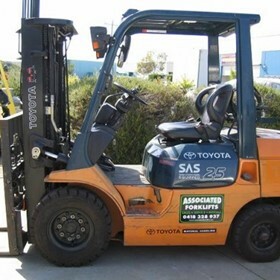 Our aim is to provide our customers with value for money when it comes to purchasing a forklift, renting a forklift or having a forklift serviced or repaired. Our knowledge of a wide variety of forklifts helps us find the right forklift for you. If we don't have what you want in our current stock list, then we’ll find it for you. We are committed to fulfiling all of our customers' needs and requirements within their budget. 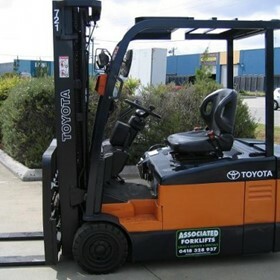 Let Associated Forklift Service be the solution to all your forklift needs.